Salcombe offers a wealth of local options when choosing how best to wet your whistle. Plus you won’t have to worry about your carbon footprint where these top tipples are concerned, so sit back, relax and enjoy some of the best tastes local suppliers have to offer, from your Salcombe holiday home. Enjoy! Old friends Howard and Angus met when teaching sailing and bonded over a mutual appreciation of a gin and tonic as a way to end the day. 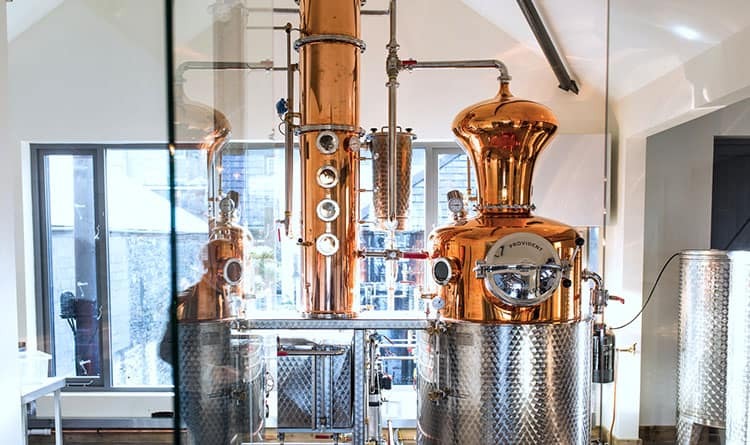 Fast forward ten years and, fuelled by Howard’s dream to create a local Devon company and Angus’ interest in distillation, the pair decided to set up Salcombe Distilling Company in 2014. They set to work renovating an old boathouse in the traditional boat building quarter of Salcombe. Created using 13 carefully selected botanicals, Salcombe Distilling Co. use the finest ingredients to create their Gin. Each handcrafted batch is blended with Dartmoor water for an extra smooth finish. Not satisfied with simply producing award-winning gin, Howard and Angus also opened a bar and Gin school. Try their signature G&T while overlooking the water, or take it one step further and learn the art of distillation before creating your own unique recipe to take home. 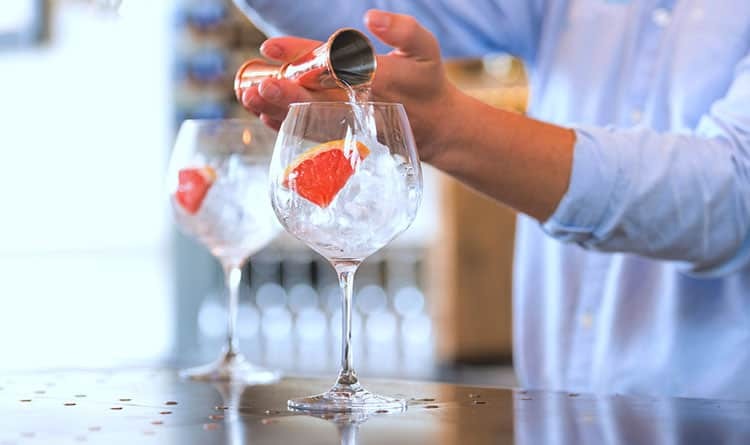 Although the bar also serves a great selection of cocktails such as Marmajito (a unique take on the classic Mojito) and the of-the-moment Negroni, purists won’t be able to resist the signature serve – gin, tonic, ice, and a slice of ruby red grapefruit. If gin isn’t your thing, perhaps try a pint of local ale from Salcombe Brewery. Saved from the brink of bankruptcy by husband and wife team John and Gerry Tiner, this innovative eco-friendly brewery is built on the site of a decommissioned water reservoir. 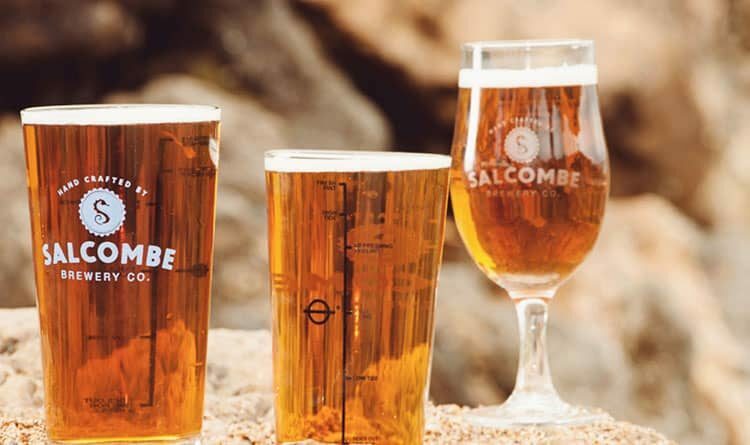 As well as their collection of permanent beers, Salcombe Brewery releases seasonal ales such as the popular Christmas Tide and small batches of craft ales. For those interested in the brewing process, the brewery offers tours on Thursdays, while serious beer enthusiasts can enrol on one of their brew days – which gives you the chance to help make some Salcombe beer… all topped off with a pasty and a pint for lunch! Described as ‘a classic best bitter’ the Devon Amber is dry, hoppy with a crisp finish – perfect for those looking for a place to start. If you prefer something a little richer, the copper-coloured Lifesaver has hints of citrus and malt with a surprising yet welcome liquorice finish. Many of the pubs around the brewery stock a selection of their ales both bottled and on draft, so you’ll be able to work your way through them (responsibly of course). Venture just 20 miles north of Salcombe and you’ll find Sharpham vineyard situated on the banks of the River Dart. Owned by the Sharpham trust, this thousand-year-old farm produces some of the finest English wines and cheeses in the South West. The vineyard is open March through to December with tours operating in the warmer months. Pick up a bottle of the Sharpham Barrel Fermented 2014. Critic’s choice and gold medal winner at the sommelier awards in 2015, this versatile white is the perfect accompaniment to the local fish that is in such wonderful abundance in this corner of the world. 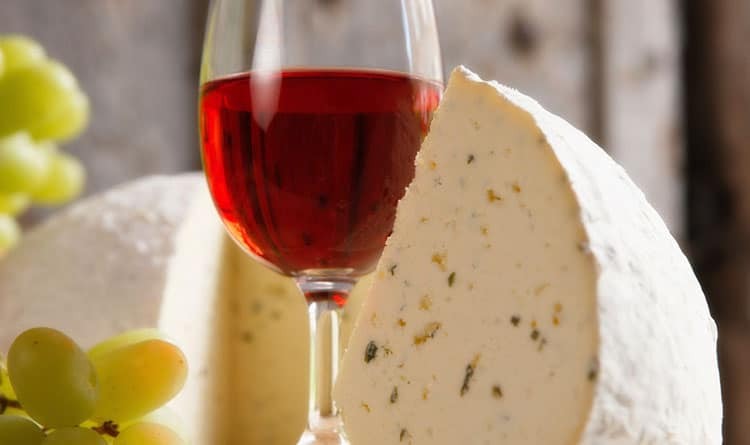 And what’s wine without cheese? Sharpham also has a range of award-winning cheeses that deserve pride of place on any cheeseboard. The position was superb with amazing views. We loved the large terrace with garden furniture where we sat and enjoyed breakfast and evening meals/ barbecues. It was great having our own beach and mooring. The kitchen was well equipped and we were able to watch the river activity whilst cooking and washing up. We were able to take advantage of the mooring as we hired a boat and spent a lovely time exploring the river and little coves and even discovered a pub upstream. The minor grievances were the parking space - difficult for three cars; we didn't realise the number of steps and terraced levels which made it hazardous for young children. We enjoyed good weather whilst at Harbour Watch, but bad weather might have been a problem as the roads are narrow and access tricky to negotiate with more than 2 cars. One of our party is a good cook and he was up early baking bread most mornings. He commented there was no veg steamer which he thought would be a good addition. Salcombe Finest were ridiculous! And by that I mean in that they presented the house that we rented from them so impeccably that even my cynical ex-hotelier wife could find no fault with it's preparedness and presentation. And that they were ever present for all things, but were never intrusive, is the mark of a firm at the top of it's game. Exemplary in all things, what's not to admire?!! A great house for a large party. Smack bang in the middle of all the action on Salcombe high street so fantastic for nipping out for coffee and all the yummy restaurants literally on your doorstep. So good to go somewhere dog friendly. Much appreciated! Fore Decks was spotlessly clean when we arrived and very comfortable throughout our stay. Lots of stairs and parking a little way away so probably not ideal for very young children or older or disabled people. We look forward to returning to Salcombe in the sunshine next time! Lucy at Salcombe First was very patient with all our questions and made the booking process very easy. Watch Hill is a very beautiful house in an ideal location, 5 mins walk into Salcombe and fabulous views of the estuary. We had a memorable Christmas here with extended family, lots of room and extremely comfortable. Salcombe itself has a good selection of lovely shops, great pubs and cafes, and wonderful coastal walks. Highly recommended. Very helpful from the first telephone enquiry. Booking process was easy and we were met on arrival at the property to run through how everything worked. It was good to know there was someone we could call if we had any problem. The whole booking process and all the way through to return of keys on departure was very straightforward. The quality of the accommodation was excellent and fulfilled our expectations. Extremely good service. Any queries sorted promptly.